Fed up with being fat? Tired of feeling slow, sluggish and out of shape? For most people, the battle against the bulge is a very real struggle and can cause serious, even critical health issues over time. But regardless of whether you need to drop 10 pounds or 100 pounds, Raspberry Ketone Platinum can make a massive impact on your ability to burn off that pesky fat that follows you everywhere you go. This all-natural, premium raspberry ketone supplement utilizes pharmaceutical grade ingredients and a highly concentrated formula to trigger fat loss so you can shed weight safely and effectively. 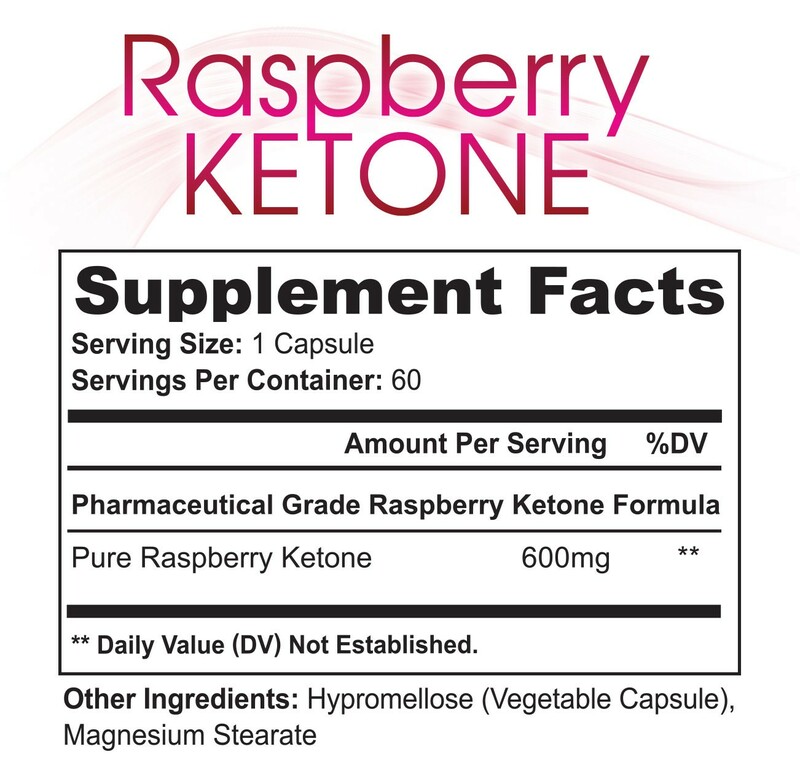 Raspberry ketones have been the buzz of the supplement industry due to their powerful fat-burning potential. This dynamic compound has been clinically researched for its ability to break down fat cells so your body can melt away those unwanted, extra pounds. Raspberry ketones also help to boost the body’s metabolism by increasing adiponectin, which is a protein hormone that can regulate glucose levels and break down fatty acids. So if your weight loss journey keeps taking you to dead ends, try Raspberry Ketone Platinum and melt away those unwanted pounds. Take 1 capsule, twice per day with a full glass of water. Take the first does immediately upon waking, and wait at least 20 minutes before eating. Take the second dose mid-afternoon, at least 20 minutes before eating. If faster weight results are desired, you may take a third capsule 20 minutes before dinner. Keep out of reach of children. If you are pregnant, nursing, taking prescription of over-the-counter medication, or have a medical condition, consult your physician or licensed healthcare professional before use.